In terms of higher education, colleges and universities in the U.K are respected all over the world. The excellent education system, which offers quality along with flexibility to its students, makes it one of the most popular destinations in the world for International students. Many of the world’s top universities and colleges are situated in the U.K. and qualifications from such universities are desired by employers all over the world. There are a number of reasons due to which students from other countries choose to study in the U.K including the quality of the education, cheaper costs etc. Compared to other foreign countries like the U.S, studying in the U.K proves to be much cheaper for International students. 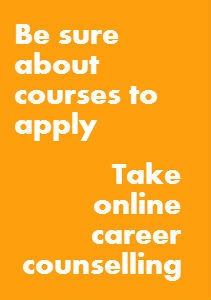 Not only that, but a degree from U.K is a big boost for any individual’s career and usually results in good salaries. This helps students recover the money they had initially invested in their education. Rs. 20, 00, 000 per year. 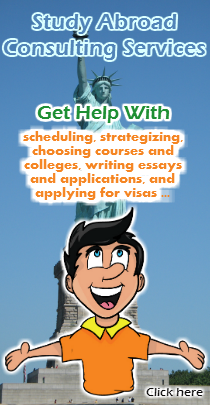 Your fee depends on the type and duration of your course as well apart from your university. Generally a student pursuing an Engineering course will pay more than what a student pursuing a course in Music will. However, on an average, colleges and universities in the U.K prove to be cheaper for International students than colleges in other countries. Another reason why Internationals students choose to study in the U.K is because the duration of the courses is much shorter as compared to courses in the U.S or other countries. You would typically finish a Bachelor’s course in 3 years in the U.K whereas the same course would take 4 years in the U.S. The shorter duration of courses helps students not only save on the tuition fee for the extra year but also save huge amounts of money that would have otherwise been spent in order to stay in the U.K for that additional time period. It also helps students progress faster in their careers by being able to work or pursue Master level degrees sooner than students in other countries. Most U.K universities also offer 4 year Bachelor level courses that include a year of work experience in the 3rd or the 4th year of the course. These courses are also referred to as ‘Sandwich’ courses and have a lot of advantages for international students including practical work experience and exposure to the U.K work culture. If you wish to pursue a postgraduate degree in the U.S, then you can use this type of a course to complete the mandatory 16 years of education that are required to be eligible for the Master’s course. One of the most striking features of the education system in the U.K is its focus on quality and academic excellence. Colleges and universities in the U.K adhere to strict education standards. A degree from a college in the U.K is respected all across the world and is more often than not considered to be a good enough qualification to get a good job. The Quality Assurance Agency (QAA) is responsible for carrying regular assessments of the quality of college teaching in the U.K. Similarly, the standard of research being carried out in these colleges is assessed by the Research Assessment Exercise (REA). Apart from these two organizations, there are many other organizations including the U.K Government, who look after the higher education system in the U.K and ensure that colleges meet the required standards of education. U.K education is known across the world for its focus on professional training. Unlike the U.S education system, where you study liberal arts subjects as well, the U.K education system makes you study only the subjects that are related to your professional aspirations. The result of this system is that you end up with as much or more knowledge with regards to your specific field of study in 3 years, than you would in 4 years at a U.S college. This is one of the reasons why employers all over the world respect U.K education as they desire a workforce which comprises of people who have an in – depth professional knowledge with regards to their specific field. The choice that the U.K education system offers to students is one of its biggest plus points. There are a lot of courses that students can choose from including general as well as specialized subjects. Most colleges also allow students to choose their own ‘modules’ from different subject areas to create their own personalized course. For example, for a student studying Biology can choose to focus on the environment rather than focusing on the human cellular structure. This helps students only study the subjects that they consider to be relevant and in line with their career and life ambitions. One of the biggest advantages that international students studying in the U.K have over other students is that they are exposed to the highest and the best level of English in the world. This is an invaluable asset to have considering how important English is in the business world today. Interacting with native English speakers helps international students become fluent in the English language. Students who are already fluent in the language have the chance of improving their communication skills further. There are a number of English language courses in the U.K that cater to students from different nationalities and different age groups. The U.K is made up of people from diverse cultures with different ways of living life. International students studying in the U.K are exposed to different cultures and different beliefs. This helps students open up their minds and learn to accept and respect opinions that differ from theirs. Students studying in the U.K will come across rural towns to big cities and get to visit places of great historical value. There are many other aspects to the U.K culture that attract International students including the passion for music, the love for sport and the respect for the arts. One of the biggest advantages of studying in the U.K for Indian students is the massive local presence of U.K universities. Most of the colleges in the U.K have their representatives and agents in India who are responsible for assisting students with the admission process and advising them so that only they do what’s best for them. These representatives and agents help Indian students understand the requirements of U.K universities and form a vital link between Indian students and the authorities of these colleges and universities during the whole process of admission. The U.K is a welcoming place for students from all over the world and the colleges are very receptive to the needs of International students. People from all religions and walks of life are accepted in the U.K and everybody is treated as equal. Many Indian students prefer to study in the U.K due to the presence of the huge Indian community there. This provides students with the opportunity to interact with other Indians who live in the U.K regularly and helps them adjust to the cultural differences without feeling homesick.